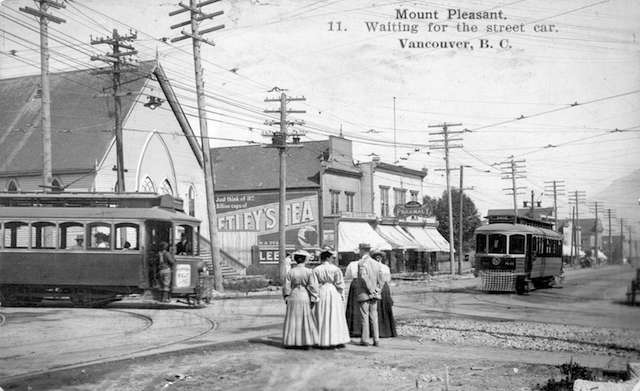 Mount Pleasant, waiting for the street car, 1908. Timms Photographic Co. Photograph shows Westminster Avenue (Main Street) between 8th and 9th Avenues. Source: City of Vancouver Archives #Dist P144.